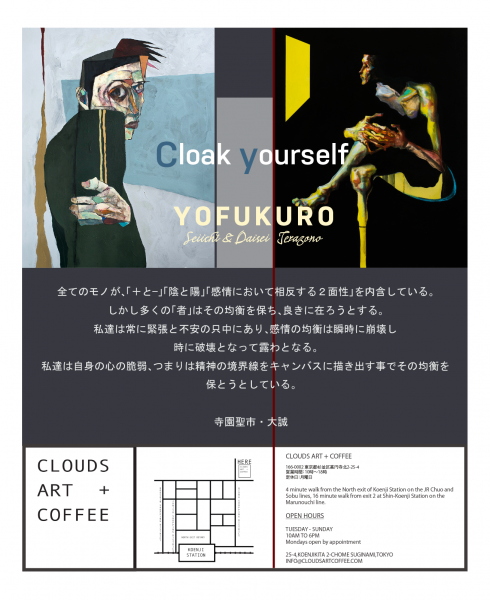 “YOFUKURO” is a Japanese artistic duo. 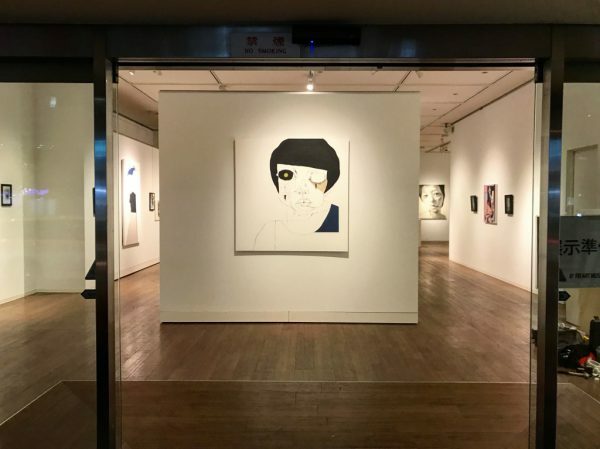 The two brothers, Seiichi and Daisei Terazono, create mostly figurative art in different media (acrylic, pastel, mixed media). “YOFUKURO” means owl in Kagoshima dialect and owls are considered to bring happiness in Japan. 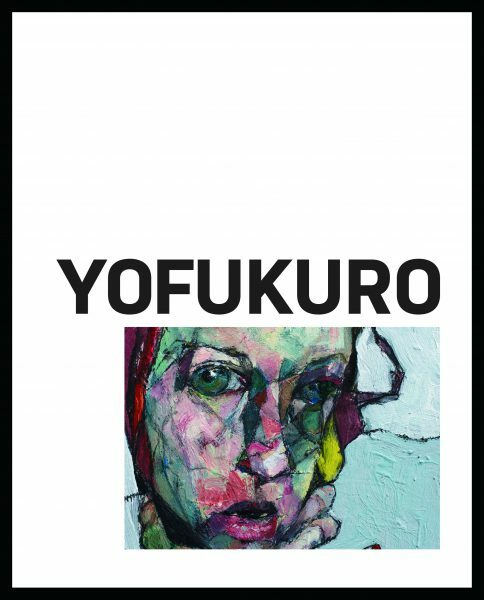 This Artbook includes monumental paintings and drawings from their recent exhibition held in Japan as well as highlights from the past two years of the artist’s work, which have not been exhibited or published. 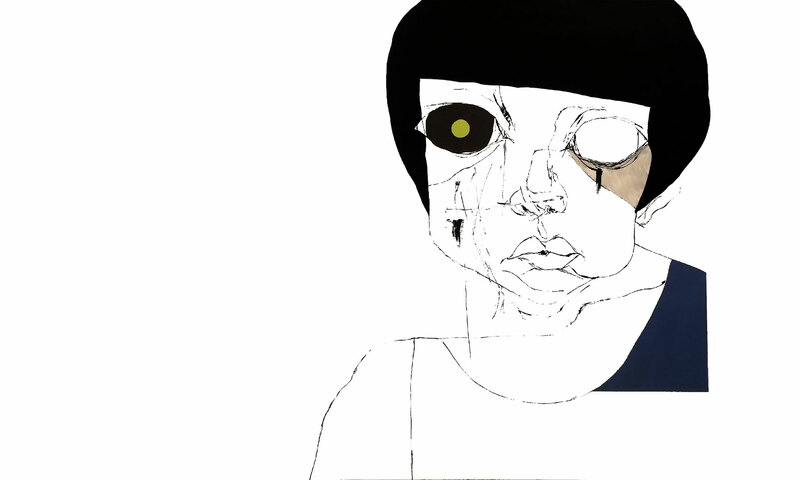 All things contain two facets: plus and minus, positive and negative. People can achieve a good existence by balancing the two. 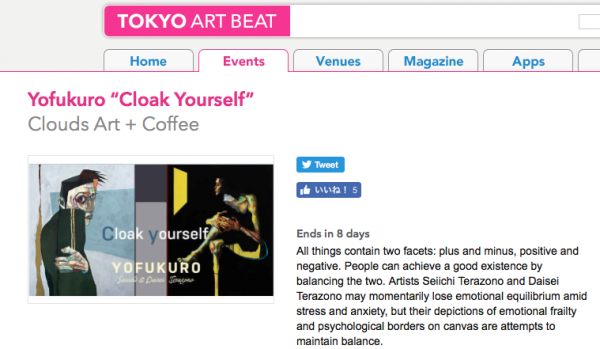 Artists Seiichi Terazono and Daisei Terazono may momentarily lose emotional equilibrium amid stress and anxiety, but their depictions of emotional frailty and psychological borders on canvas are attempts to maintain balance. 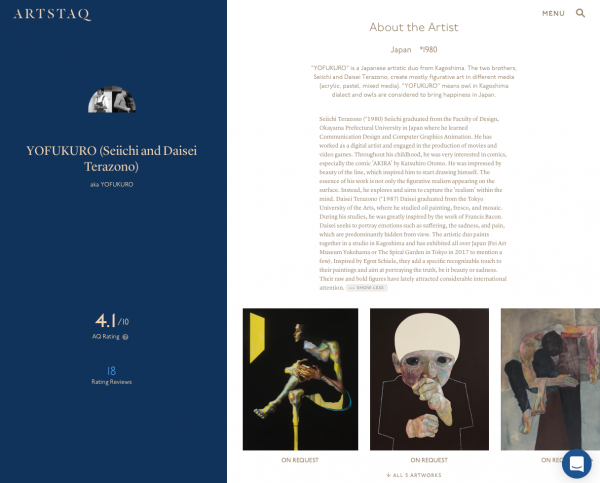 We join ARTSTAQ uk, global art exchange platform that connects galleries and artists with collectors and investors from all over the world. 4 minute walk from the North exit of Koenji Station on the JR Chuo and Sobu lines, 16 minute walk from exit 2 at Shin-Koenji Station on the Marunouchi line.